While incarcerated, prisoners are subject to a vast number of rules. 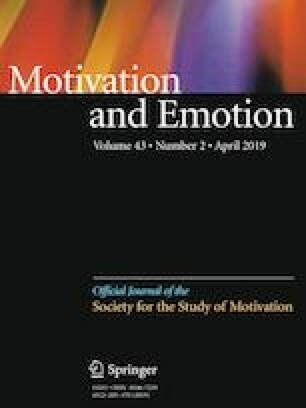 Drawing upon self-determination theory, the present study examined whether prisoners’ perceptions of the degree to which prison officers communicate rules in an autonomy-supportive or controlling way related to prisoners’ internalization of and defiance against rules, and whether this, in turn, related to their (mal)adaptive functioning in prison. Participants were 156 Belgian prisoners (Mage = 38.60; SD = 11.68, 88.5% male) who filled out questionnaires concerning the study variables. Associations were tested using structural equation modeling. Results showed that, whereas a higher level of perceived autonomy-supportive communication style related via greater internalization of rules to prisoners’ higher quality of life, a perceived controlling style was positively related to aggression and irritation vis-à-vis prison officers. Additional analyses suggested that an alternative model, where prisoners’ maladaptive functioning is predictive of higher levels of perceived controlling communication, is equally valid. Jolene van der Kaap-Deeder is a Postdoctoral Fellow of the Research Foundation – Flanders. We would like to thank the prison staff, both national and local directors, prison guards and social services, who assisted us in the recruitment of participants and the data collection. We are also thankful to the prisoners who participated in this study. Preparation of this paper was supported by Grant 12X5818N of the Research Foundation – Flanders.